The Irvington Theater Commission kicks off our incredible season with this benefit concert! 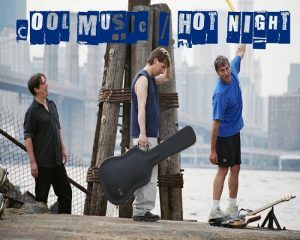 Catch some cool music on a hot night (and a free beer, too). Brooklyn’s Kenny Young and the Eggplants come to the Irvington Theater, along with popular Irvington acts Party Faithful, James John Wilson, Tumbleweed Mile and Mood FM. Proceeds go to support the Irvington Town Hall Theater.